Show your impression and style with simple and best collections of Hijab Fashion suit. Download hijab women photo making an app and see yourself in Hijab suits. Gone are the days when hijab was considered too old fashioned and just an Islamic thing. Now, it has become a trendy accessory that is loved by Muslim women from all around the world. If you are fond of hijab fashion suit, you don’t need to get it directly into your wardrobe.Why install hijab women photo making the app? ◈ Try it for free as it does not charge you even a penny for installation. ◈ You get a huge collection of hijab suits including the modern hijab styles. ◈ Select the one that suits you the best. ◈ You can select any hijab style dress from the collection and adjust your face in that. 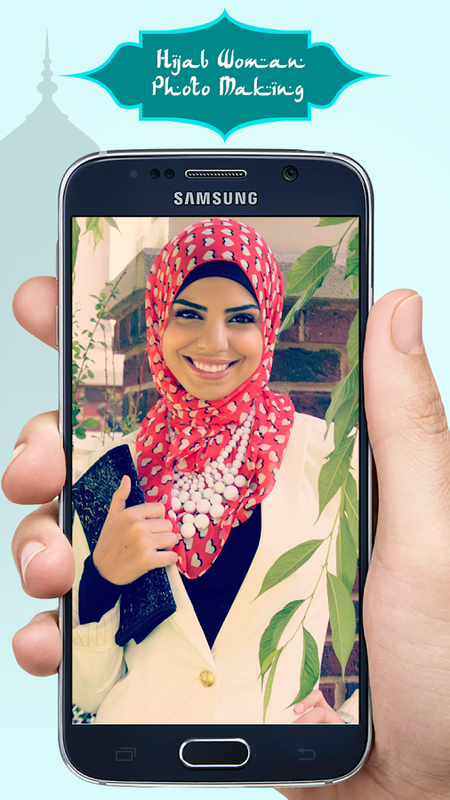 ◈ You can also use the hijab selfie camera to click the picture instantly. ◈ Comes with unlimited styles that make it most effective app ever made on Muslim women hijab. ◈ Try on unlimited hijab fashion styles using this app. ◈ This Muslim fashion app is very easy to use. ◈ Take camera photo and fit your face fit to the hijab frames. How to use hijab women photo making an app? ◈ You just need to click on the image and regulate picture from gallery to hijab fashion selfie frame. ◈ Select the filters and add the best one that suits you. ◈ Edit the picture using the hijab photo making as per your convenience. ◈ Use adjustments like resize, rotate; zoom in and out etc to make the picture perfect. ◈ Save the picture in the gallery after it’s done. ◈ Directly share hijab photo editor to the social network like facebook, WhatsApp, Instagram etc. ◈ Use the picture as hijab wallpaper too. ☆Select a photo from the gallery or take photos using the phone’s camera. 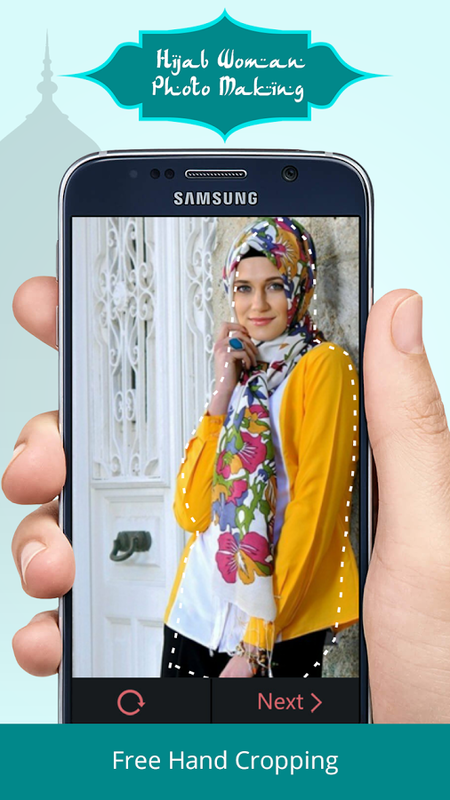 ☆ Take camera photo and fit your face fit to the hijab frames. ☆ Save the image in particular folder related to the application name. We bring you a perfect way by which you can create a virtual wardrobe or try your favorite Muslim women clothing for free. Hijab fashion suit app brings you the ultimate way for all your Muslim women clothing needs that include scarfs and hijab dresses. So what are you waiting for? Install this hijab photo making an app now and keep enjoying the beautiful hijab styles.